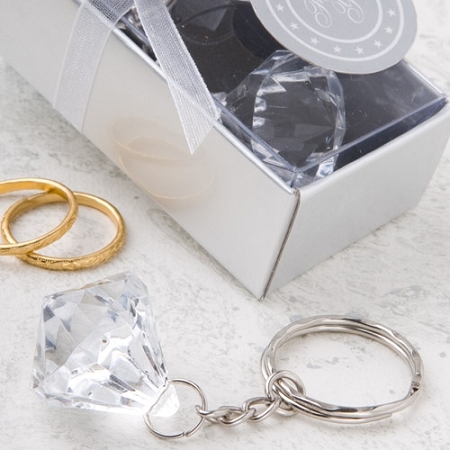 This Clear Diamond Collection diamond design key chain is one favor that's bound to rock your guests' world. Talk about a big rock! 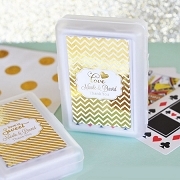 The diamond-inspired charm on this fun key chain favor is off the carat charts! 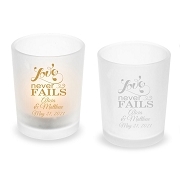 And your guests will be happy to accept this glistening ring as their event memento. Each measures 3.5" x 1.25" and has a clear, crystal-like, multifaceted acrylic diamond shaped charm attached to a sturdy silver metal chain and ring. 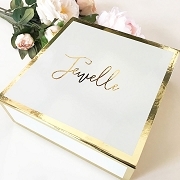 They come packaged in a shiny silver box tied with a white organza ribbon and an attached "For You" tag in a round silver design. I am 100% happy with my order and pleased with the quick delivery! 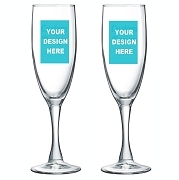 For an upcoming event, titled Diamonds in the ruff these were the perfect favors at a great price.